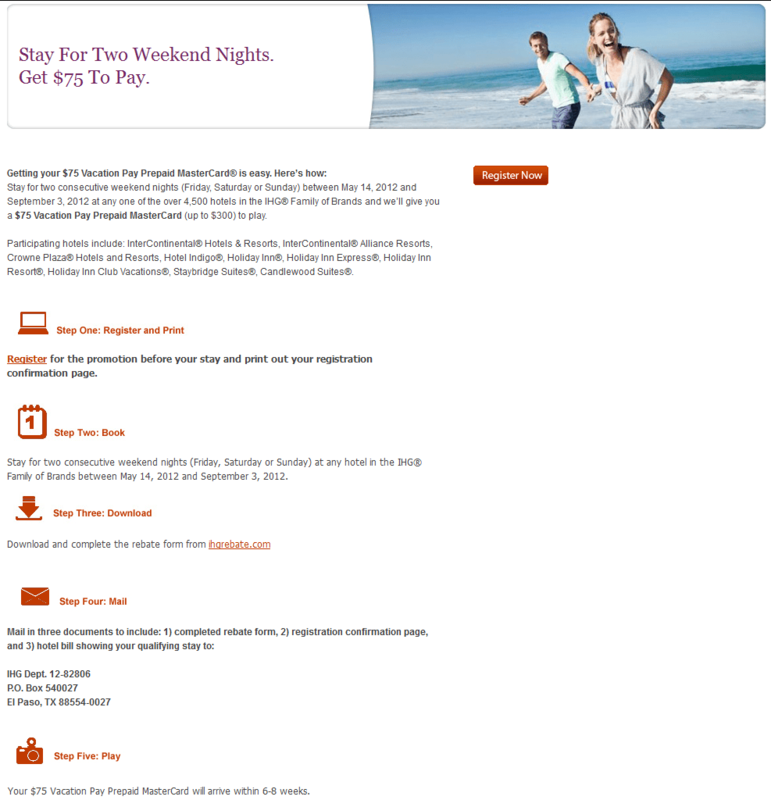 $75 for 2 IHG weekend nights + new PointBreaks list on the way soon! The one hotel I love to stay with and probably blog too much about is IHG. I just love PointBreaks nights for 5000 points with 10% back when you have their Chase branded card. Right now there is this promo going on that can get you $75 cash back for two stays. Note you need to be logged in to your Priority Club account to see the above and register. You can also read all the T&C about the promo HERE. And once you have registered and stayed you submit your info for the rebate HERE. And last but not least there is a 1000 point bonus per stay from FB HERE. There are many codes you should try before you stay at an IHG hotel and they are all listed at Flyer Talk HERE.